Experience the incredible visual quality of 5K computing with Apple’s new 27″ iMac. With a Quad-Core Intel i7 processor and a 512 GB SSD these iMac’s are simply the best desktops on the market right now. 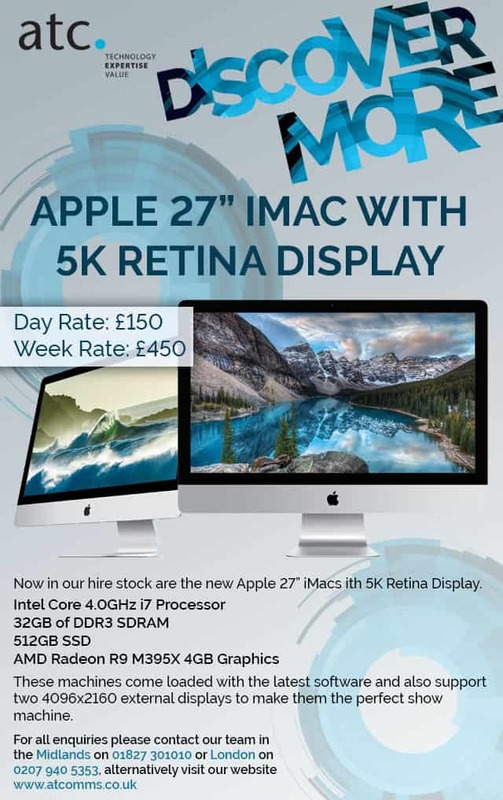 These iMac’s are no slouch’s as they come fully spec’d with 4.0GHz quad-core Intel Core i7 Processors, 32GB of RAM, 512GB SSD’s and 4GB AMD Radeon R9’s. Here at ATC we only provide the highest quality products to our clients and these iMac’s tick all the boxes.